Strange naked dreams pre-sage a difficult day for Toppie Smellie. Dreading his mandatory appearance before the college board of trustees to discuss his exposed affair with his former intern Malik, Toppie reaches out for a little solace from his Aunt Tappie and friends. 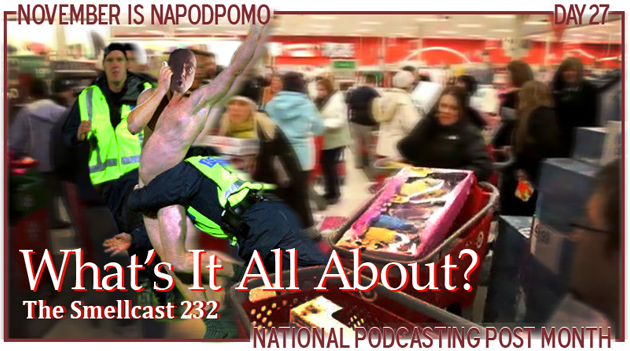 LEFT click HERE to LISTEN to episode 272 on your computer NOW. RIGHT click HERE to Direct Download episode 272. A surprise is spoiled! Temperaments flare as the mercury rises! Everyone is up to their arm-pits with work! Will the Talent show go on, or is it dead in the water?? Find out why Walt hates the whole idea! Plus more about his new-found religion! Listen as temporary guest host Sassy, delivers a new episode to document all the happenings between Toppie and Walt. 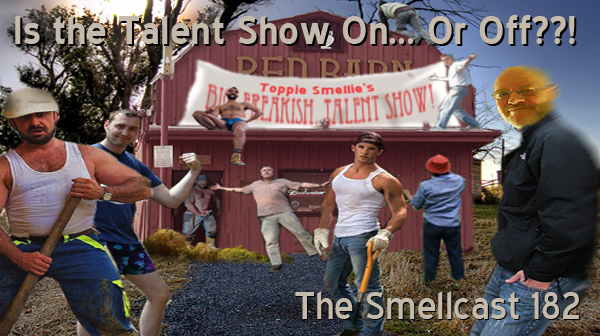 August 6th is coming up, and it is the deadline for submissions to Toppie’s Big Freakish Talent Show! There’s still time for you to participate! Click here to find out all the details!! 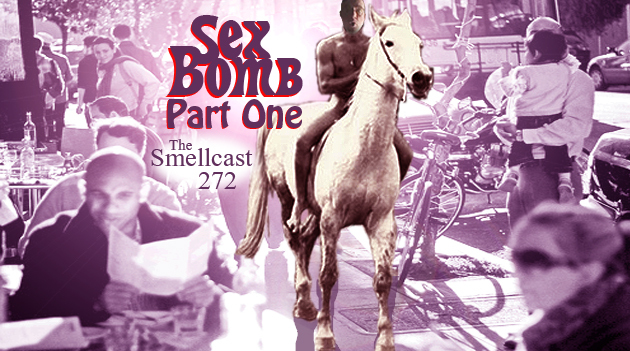 Click the link below to listen to the Smellcast, episode 182. In a short post-script to yesterday’s podcast, Toppie relates yet another way he has disappointed his parents. Yep, that’s right! Just when you thought Toppie couldn’t f*ck up more… low and behold yet another failure — only this one is EPIC. Write to Toppie at Smellcast@aol.com. Please click the link below to listen to the Smellcast, episode 67.
sc 66 Sh*t’s Hittin’ the Fan! Toppie talks about some of the latest developments in his home life with his parental units including how he completely upset his mother by being a total slob. Yes, the sh*t is hitting the fan here at the Smellie Ranch! Whotta schmuck! Sheesh. The closing song is from the album ‘The Velvet Underground’ and is sung by drummer Maureen Tucker. Please click the link below to listen to the Smellcast, episode 66. 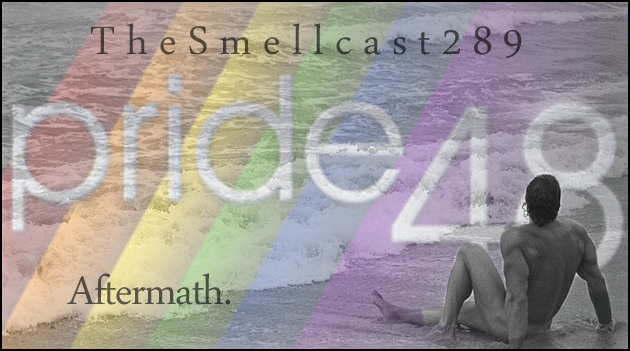 Please click the link below to listen to the Smellcast, episode 46.